Every year, the CWS recognises the good deeds of a Member in the community who has promoted the objectives of the Society. This recognition is by way of the “Bill Wong Meritorious Service Award”. 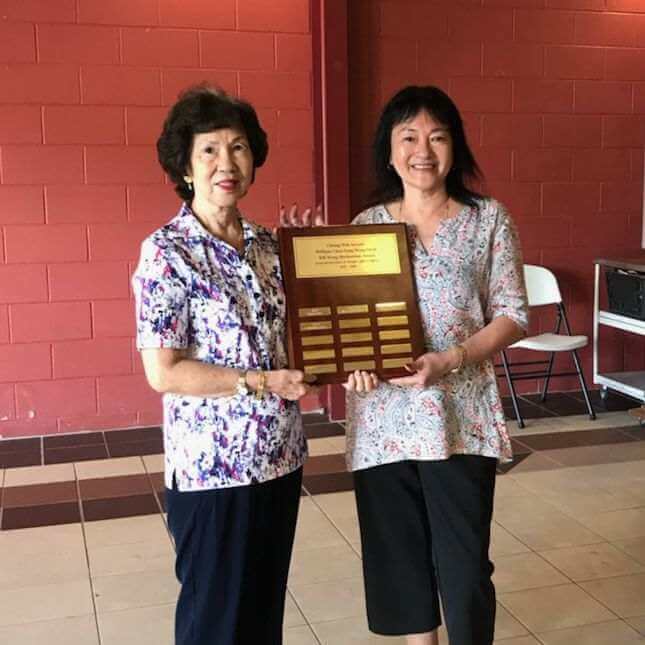 The 2017 recipient is Melanie Chin who is pictured receiving the award from Mrs Rosemary Wong. Congratulations and well deserved Melanie!